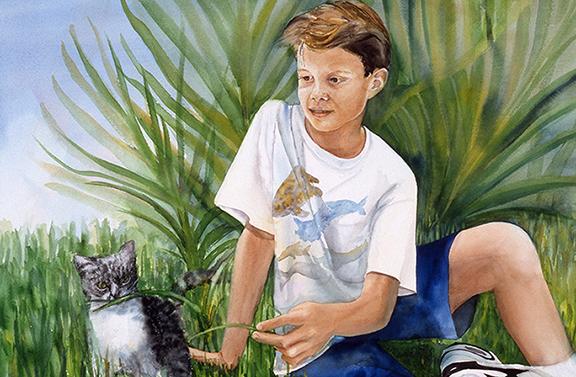 When Kenny was about 11 years old, I was commissioned by his parents to paint his portrait. We decided to include Kenny’s beloved cat, Buddy, in the painting. 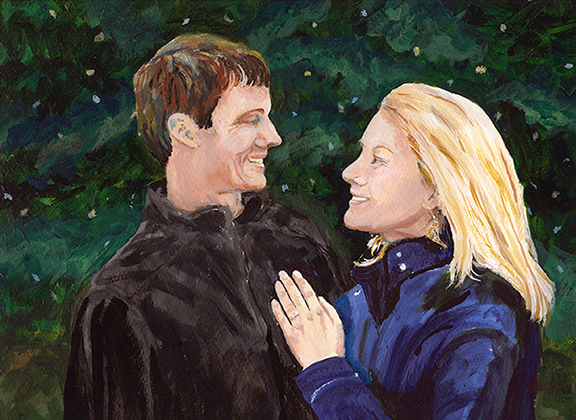 Now, 20 years later, I have once again painted Kenny and his beloved…this time, his soon-to-be wife, Debby. 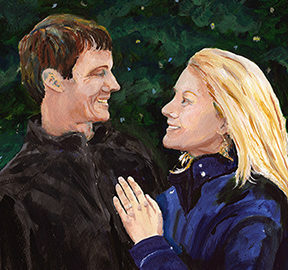 I am so happy for Debby and Kenny and thrilled to be included in their celebration at the end of June. Imperial Frame Gallery helped me select a pale cream-colored silk mat, simple, contemporary frame and best of all…museum-quality plexiglas so that the piece could be shipped to Philadelphia without breaking, while maintaining the clearest possible view with anti-glare and UV protection. 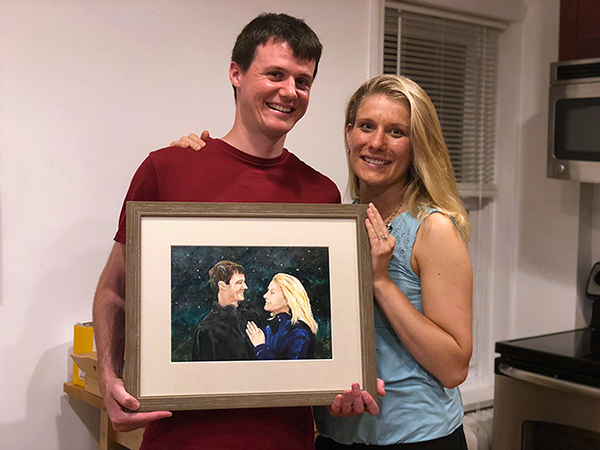 In my excitement to ship the wedding gift, I neglected to take a photo of the framed piece, but Kenny and Debby were kind enough to send me one (see below). Thanks!